Waikoloa Beach, Hawaii. Do not confuse with Waikoloa Village, in the interior of the island and higher in elevation. Man-made paradise! Home of the Hilton, the Four Seasons, Mauna Kea Beach Hotel, Hapuna Prince Beach Hotel, the Fairmont Orchid and the Waikoloa Beach Marriott Resort. There are four golf courses in Waikoloa Beach; Waikoloa Beach Golf Course, Mauna Kea Resort Golf Course, Mauna Lani Resort Golf Club and the Waikoloa Kings Golf Course. There are estimated to be as many as 30,000 petroglyphs in thesurrounding area. Ala Kahakai otherwise known as “The King’s Trail” is an ancient stone and lava rock laid pathway that runs along the coastline and is well preserved through Waikoloa Beach, Hawaii. The trail was an important pathway that connected the people of past Hawai’i. The path brought communities, temples and fishing areas together. The trail is estimated to be 175 miles (282 km) long. Because Waikoloa Beach has so many large resorts, they have brought in two outdoor shopping centers in Waikoloa Beach. The Queens Market has 3 jewelry shops, 12 fashion shops, 10 specialty and gift shops, 12 restaurants including, ourfeatured Coffee Shop, Daylight Mind Café & Restaurant. Right across the main roadway is the Kings Shop. The King’s Shop have Specialty stores, restaurants, accessory shops and apparel shops. 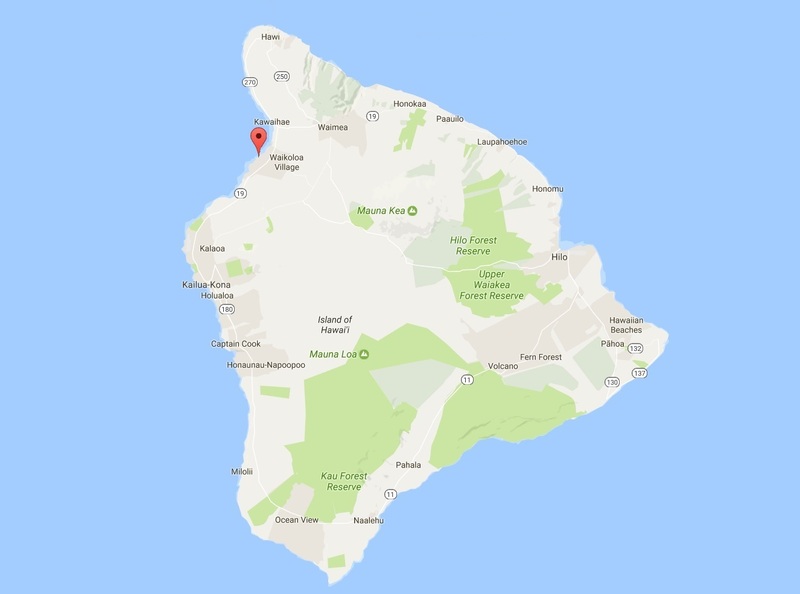 There are several public beach access points in Waikoloa Beach.There is Hapuna Beach, Mauna Kea Beach, 69 Beach and Anehoomalu Bay. This destination point is well worth the trip and I recommend it for your vacation. The Mauna Kea Beach was voted #10 in the world by the National Geographic! Our journey has so far taken us through Hawi, Kapa’au, Kawaihae and now Waikoloa Beach, Hawaii. Stay tuned for next week as we will explore the town of Waikoloa Village! I will work my way all around the island. To stay updated; like me on Facebook or subscribe to my posts or just check-in once in a while. This is going to be a great trip!